Vacation is work is one of the main axis of the modern life. People work a lot and the vacation time, as a break from it, is a fond dream to look forward to. But one’s vacation means work for another person and nowhere is it more clear than in a monofunctional resort town. There has been a lot of vacationing in Narva-Jõesuu. But there has also been a lot of work so other people could enjoy their vacation. Visiting Narva-Jõesuu today, one can smell the bittersweet nostalgia in the air. When it comes to this town, the golden era of vacationing is remembered fondly, but there have been several golden eras — Tsarist Russia, interwar Estonia and the Soviet era. Narva-Jõesuu Ethnography Museum gives a thorough overview of the town’s glorious past. Perhaps the future is already set in some business plans as well. But there is one time that is missing from this museum. 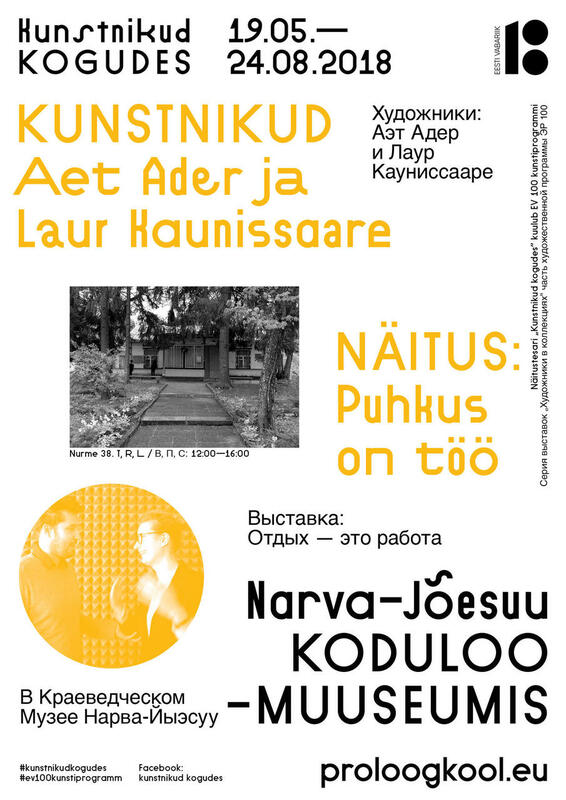 Aet Ader and Laur Kaunissaare are creating an exposition of the present of Narva-Jõesuu as a resort town. Of the moment when the dream of a vacation meets the reality of work. 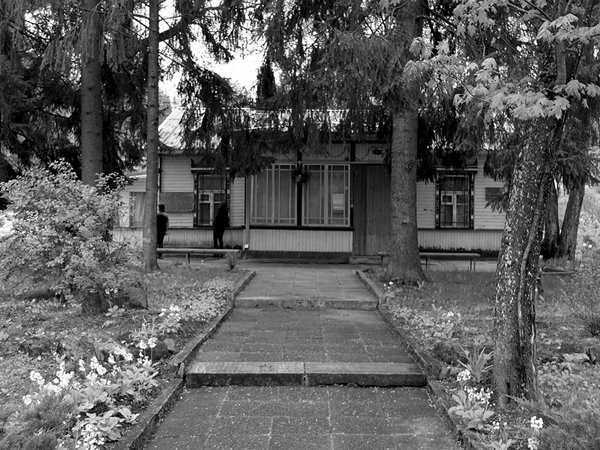 In collaboration with the photographer Diana Tamane, a photo series of the current spas of Narva-Jõesuu — Noorus, Meresuu and Narva-Jõesuu Sanatorium — was born. On the two terraces of the ethnography museum, which are not usually open to visitors, objects from the current vacation culture are displayed in addition to the photo series. The exhibition opens the world of both visitors and employees and focuses on the time-transcending solidarity that connects us all in the hard work and the desire to take a vacation. 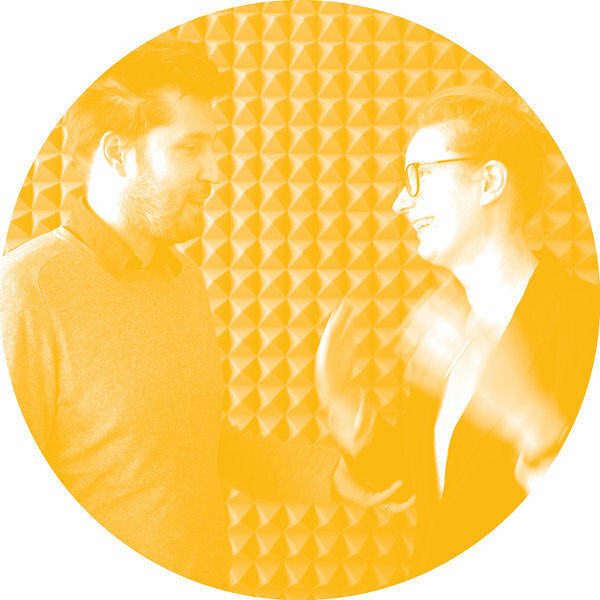 … is an architect, one of the founders of the architecture office b210 and vice president of the Estonian Association of Architects during 2014–2018. She has served (along with Kadri Klementi) as the editor-in-chief of the magazine Ehituskunst and in 2013, with b210, curated the Tallinn Architecture Biennale titled ‘Recycling Socialism’. In the Faculty of Architecture of the Estonian Academy of Arts, along with Katrin Koov, Ader supervises the Master’s Studio and in b210 she supervises the Design Studio of Forest Library. … is a Theatre NO99 playwright and former playwright of Kanuti Guild Hall and Tallinn City Theatre. In addition, Kaunissaare coordinated the program of interdisciplinary projects of European Capital of Culture 2011 Tallinn and is the playwright of the 2018 cross-genre project ‘The Story of One Hundred’. … is an Estonian photographer of Latvian descent. She studied in Tartu Art School and LUCA School of Arts in Brussels and spent 2015–2016 in Ghent doing residency in HISK. Currently she is participating in exhibitions in Riga, Rio de Janeiro and Tartu. In Narva-Jõesuu Ethnography Museum the visitors can get to know the history and culture of the resort town through visual materials – letters, documents, photos and books of renowned creative figures related to the town are displayed. Well-known people who lived or vacationed in what once was known as the “Estonian Riviera” are introduced. The museum is located in a building where the writer A. H. Tammsaare vacationed in for a short while. Aet Ader and Laur Kaunissaare did their museum residency during 2—11 March 2018.